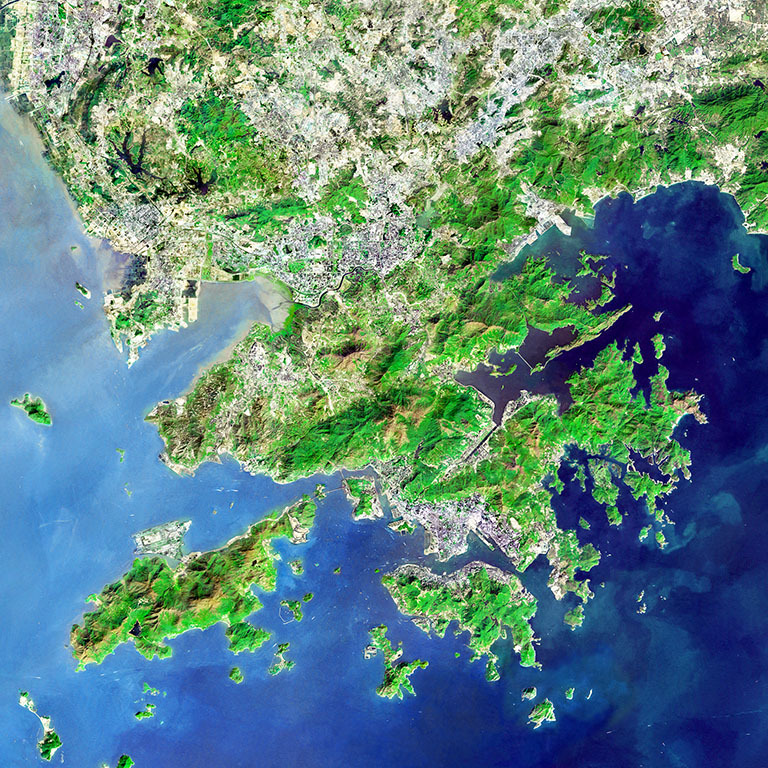 Fusion of NASA image and Landsat-5 images over Hong Kong for year 2003. Can you imagine how the Earth is seen at night from space? Where are most of the nighttime lights located? Why are they located in those areas? 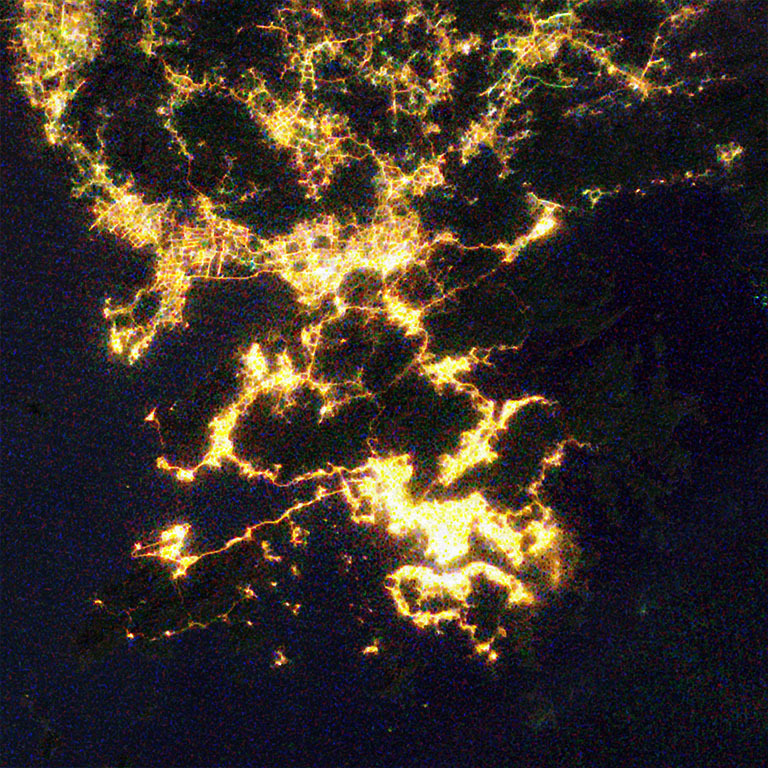 How do you account for the variation in nighttime lights in Hong Kong and Shenzhen? Copyright (C) 1986-2016 Geocarto International Centre Ltd. All Rights Reserved.